Part two covered Yaffe’s general defence of the unreasonable compliance thesis, but did not explain how it applied to addicts. In this part, we shall consider Yaffe’s general defence of the substitution thesis and then, at last, consider how both theses might apply to the addict. The substitution thesis claims that even if compliance with a norm requires the unreasonable ceding of autonomous control to another, there is often a lesser norm that it is reasonable to comply with. But what exactly does this mean? How could there be a lesser norm? And what makes compliance with it reasonable? Yaffe uses a thought experiment to explain the situation. Imagine a man — call him the “Hopeless Romantic” — who is constitutionally incapable of learning from his past romantic failures. No matter how many tragic, ill-conceived and acrimonious relationships he goes through, he continues to find himself drawn to unsuitable partners. This is because he has some sort of learning deficit. He learns more slowly and requires much more extreme signals in order to properly recognise the reasons for and against pursuing particular kinds of relationship. What is this man to do if he is to avoid future disappointment? Well, one thing he could do is cede all relationship-related decision-making authority to a third party. For example, he could get one of his friends to choose his future romantic partners, or he could sign-up to a service that arranges marriages. But, as discussed in part two, it would be unreasonable to expect him to do so because this would require the renunciation of autonomous control (in this particular domain). Avoid zealous pursuit: This first norm counsels our hopeless romantic to avoid the zealous pursuit of particular romantic partners. Avoid weak pursuit: This second norm counsels our hopeless romantic to avoid all kinds of pursuit of particular romantic partner. Obviously, the second of these norms is more stringent than the first. It demands that all forms of pursuit be avoided; the first simply counsels against the zealous forms of pursuit. Yaffe’s argument is this: while it may be unreasonable to expect the Hopeless Romantic to comply with the norm of weak pursuit, it is not necessarily unreasonable to expect him to comply with the norm against zealous pursuit. This is because our romantic is not incapable of recognising reasons for and against pursuit, it’s just that he is less sensitive and takes longer to recognise them. Due to his past experience he knows that his romantic adventures tend to end in failure, and so he recognises reasons for being cautious and less “full-on” in his advances, but he can’t recognise reasons for avoiding pursuit altogether. General Substitution Thesis: If a person suffers from a learning deficit which impedes or reduces their ability to recognise and respond to reasons for and against an act of type X, then it may be unreasonable to expect them to avoid performing all acts of type X, but it may be reasonable to expect them to avoid certain tokens of X.
Yaffe doesn’t formulate the thesis in this way, but I think this version, with its reference to the type/token distinction, captures what he is saying. So we come at last to the central topic of the paper: are addicts responsible for failing to comply with norms? The theoretical spadework has been done, and consequently this question becomes much easier to answer. What we need to know is: (i) whether addicts suffer from some learning deficit — similar to that of the hopeless romantic — which makes it unreasonable for us to expect them to comply with certain norms, and (ii) if this is true, whether there are nevertheless lesser norms which they can be held responsible for breaching. (1) If a person suffers from a learning deficit which impedes or reduces their ability to recognise and respond to reasons for and against some actions, then it is unreasonable to expect them to avoid such actions (because they would have to cede autonomy). (2) The dopamine signal is what allows people to attach values to outcomes and thereby recognise and respond to reasons for and against actions. (3) The dopamine signal is impaired in addicts in a such a way that their ability to recognise and respond to reasons for and against certain actions is impeded. (4) Therefore, it is unreasonable to expect addicts to avoid certain actions. 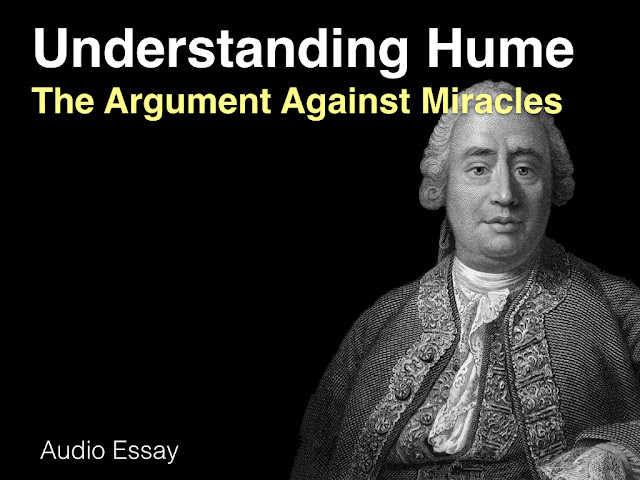 The argument for premise (1) has been laid out over the past two posts. I’ve expressed my doubts about it already but I will leave those to the side for now. The focus shall be on premises (2) and (3) respectively. One problem with these premises should be flagged at the outset. It is that Yaffe’s defence of both relies on the results of several neuroscientific studies and I have not evaluated those studies. What he says about the dopamine system sounds about right given my previous readings on it, but I’m afraid I’m his stuff on the effect of addiction on the dopamine system is unknown to me. I’ll simply assume he is fairly representing the evidence. So let’s look at premise (2) more closely. As Yaffe notes, studies on the dopamine signal suggest that its function is to represent the value that a subject attaches to the difference between the value they associated with a particular outcome and the value they expected that outcome to have. Most such studies have been done on monkeys. If a monkey is shown a sign, and then a few moments later is given a reward, their dopamine signal goes up after receiving the reward. If this process is repeated, the monkey will learn to associate the sign with the reward. At this stage, the dopamine signal will goes up once the monkey perceives the sign, but will remain flat after the reward is received. What’s more, if the sign is perceived, but no reward is given, the dopamine signal will actually go down when the monkey realises no reward will be given. Thus, it does indeed appear to be true that the dopamine signal represents the difference between the value associated with an outcome and the expected value of that outcome. The question is: why does such a mechanism exist in the brain? The answer, according to Yaffe, is that it exists to allow an organism to attach values to particular acts and outcomes in light of experience. In other words, the dopamine signal is what allows the organism to update the algorithm it uses to weigh the reasons for and against engaging in particular kinds of conduct. The key here is the notion of “updating”. Without that capacity for updating, organisms would be unable to recognise and respond to reasons for action. Thus, if the dopamine signal is indeed integral to this capacity, premise (2) would appear to be true. This brings us nicely on to premise (3). Is it true that the dopamine signal is impaired in addicts? The answer appears to be “yes”. This is chiefly because many drugs work to artificially increase the dopamine signal, independently of the experienced and expected value of using those drugs. 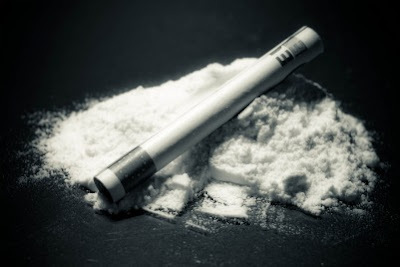 Cocaine is the classic example and the case of the cocaine user can be contrasted directly with that of the monkeys used in the studies on the dopamine system. As I just mentioned, the monkey, when repeatedly presented with a sign followed by a reward, learns to associate that sign with the value of the reward. This results in their dopamine signal altering from one that it is initially raised by the receipt of the reward to one that remains flat after the receipt of the reward. The flattening of the dopamine signal being indicative of the fact that the monkey has learned what value to attach to that outcome, as well as the expected value of the events that precede that outcome. Contrast this with the experience of the cocaine user. Cocaine works by giving the brain an artificial dopamine boost. If a person repeatedly uses cocaine, they should learn to associate certain kinds of behaviour (drug-use related behaviour) with a pleasant outcome. And this should lead, over time, to the flattening of the dopamine signal arising after that outcome. This would indicate that normal evaluative-learning has taken place. But the effects of the drug prevent this from happening. Instead, when the user takes cocaine they get a higher dopamine signal than the one they expected. Their ability to recognise and respond to the reasons for and against drug use behaviour is impaired as a result. Yaffe is keen to point out that this doesn’t just apply to cocaine users nor just to drug use behaviours. Studies have found that the impairment in the dopamine signal among addicts applies to thier non-drug-using behaviours too. Thus, it appears that premise (3) is true. And if this is so the argument outlined above would appear to be correct. But that’s only the first piece of the puzzle — the unreasonable compliance thesis — what about the second one. Is it true that there is usually a lesser norm that the addict could be expected to follow? On this matter, Yaffe is rather more circumspect. He mentions the possibility of zealous/weak dichotomy in drug pursuing behaviours, which would make the case of the drug user and the hopeless romantic analogous. For example, a drug user could pursue drugs zealously, by killing and maiming in order to secure the drugs, or more weakly, by stealing money from friends and family. We could expect him to avoid the former but not necessarily the latter. But this is just a possibility and the link between those kinds of cases, and the kinds of cases that might arise in the criminal law are sketchy. Yaffe acknowledges this deficiency. His general position is that addicts can be held responsible for whatever it is they can do without being forced to give up autonomy. But it is unclear what that would be in particular cases. More research needs to be done on the actual effects of drug use on specific kinds of learning. Okay, we shall leave it there for now. I would recommend checking out some of Yaffe’s other work on addiction and responsibility. They can be found on his homepage.